5 x Open sided adaptors: 0.63", 0.74", 0.9", 0.98" & 1.18"
Professional quality valve spring compression tool set. Most versatile on the market. The various sized adaptors makes this set one of the most versatile on the market as it will remove and compress springs on most cylinder heads. This set allows you to correctly fit the valve springs as it makes it easier to compress the springs. 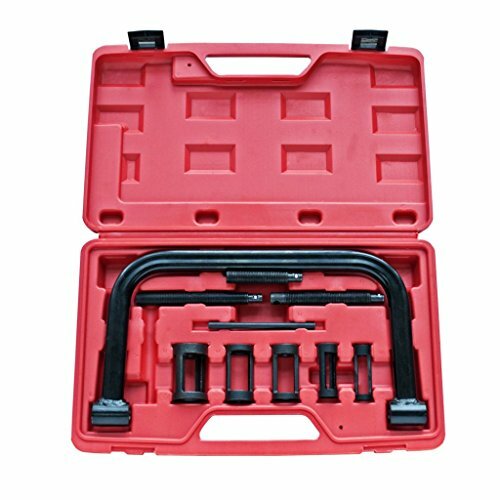 This professional quality valve spring compressor tool set is ideal for use on cars, vans, small marine engines and most motorcycle engines.